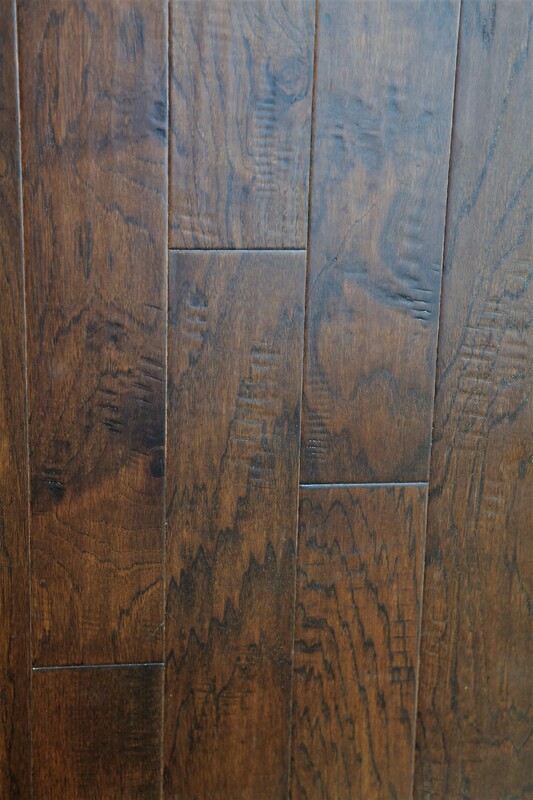 This River Oaks Click Hickory Java engineered wood flooring will add a show-stopping look to any room. With its contrasting grain and beautiful warm brown tones, this flooring is a must-have for those who want to upgrade a space with a stylish look. 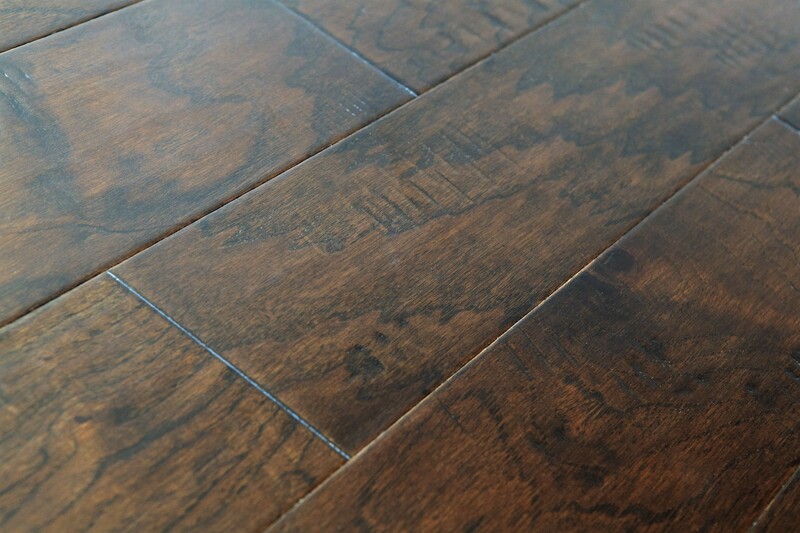 Made by Northside Distributors, River Oaks Hickory Java engineered wood flooring comes with an aluminum oxide urethane finish. 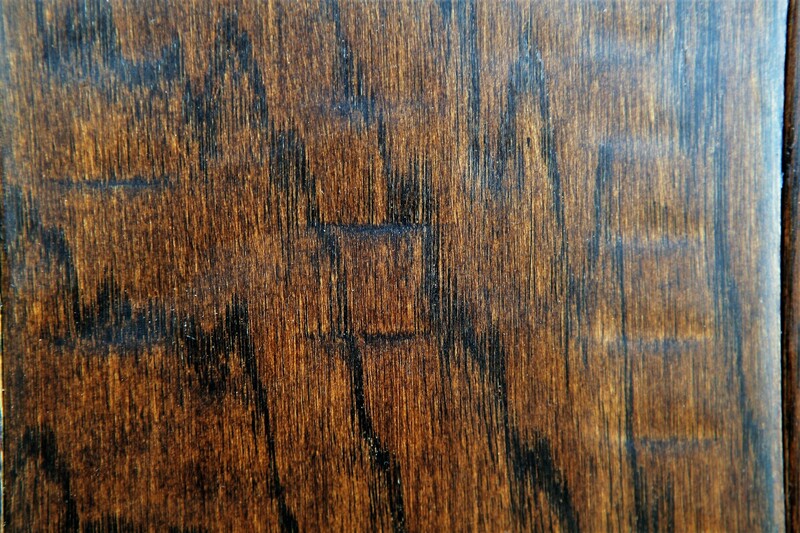 This coating helps to give the wood an extra boost of long-lasting durability while also making the floors easier to clean and maintain. This is a great choice for those who want simple, hassle-free installation; the click locking system makes it easy to assemble your floors with no glue required (though glue can be used if you prefer). Choose this dark hand-scarped engineering wood flooring to add an inviting look to your home. At iDeal Floors, you'll also find great deals on high-quality flooring like this River Oaks Hickory Java flooring by Northside Distributors.